Voorverkoop is gestart op donderdag 17 januari 2019 om 20:00. 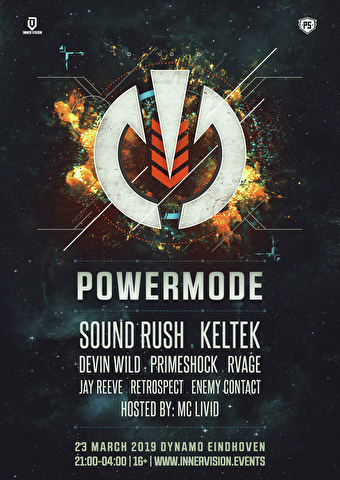 Get ready for a breakthrough in sound at the first installment of Powermode! Unleash your energy and endure performances by powerhouse DJs during this showcase of Hardstyle in its purest form. You have to be 16 years or older to visit Powermode.